Alison Dolbier has an M.Phil. in American Military History from George Washington University and has previously worked in archives and museums. 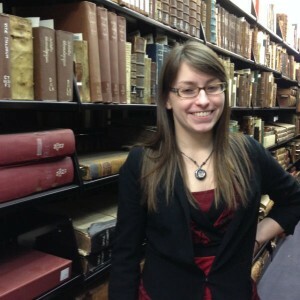 With this internship, Alison is looking to learn more about cultural heritage activities in the digital age. 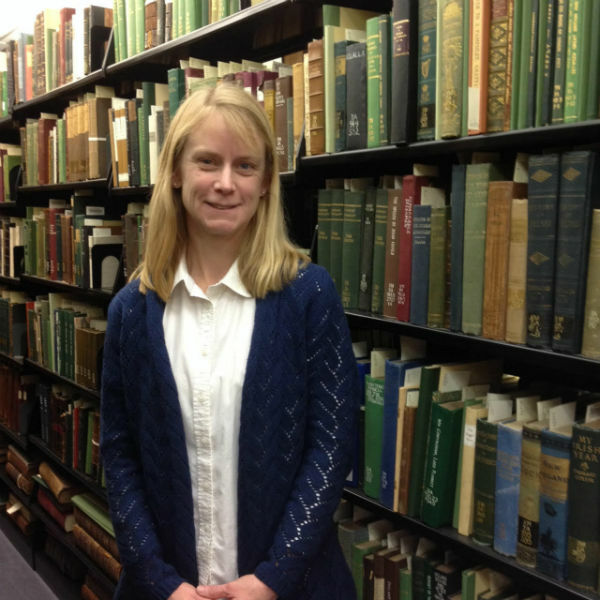 “Digital libraries are interesting places because they combine the public access part of museums with the preservation aspect of archives,” Alison said. In her free time, Alison likes hobbies such as spinning wool, sewing, and other handcrafts. She also enjoys spending time with her family, who like to go kayaking together. The last book Alison read was The Historian by Elizabeth Kostova. If she could travel anywhere, Alison would like to visit Scotland. “It’s always been on our list to go walk along Hadrian’s Wall,” she said. Marjorie Haines has a Master’s in Archaeology of the Eastern Mediterranean and the Middle East from University College London. She has volunteered in the Keck Archaeology Lab at Dickinson College and at the British Museum. With regard to this internship, Marjorie is looking forward to gaining more experience to apply to future positions and having fun geeking out over cultural heritage materials along the way. In her free time, Marjorie enjoys going for walks, listening to music, reading, and trying to teach herself new skills such as coding. She also teaches belly dancing on occasion. She is currently reading J.R.R. Tolkien’s The Silmarillion and Jared Diamond’s Guns, Germs, and Steel: The Fates of Human Societies, the latter of which she is savoring slowly because she doesn’t want it to end. If she could travel anywhere, Marjorie would love to visit Middle-Earth. She also wouldn’t mind a visit to the Enterprise. We are happy to welcome both Alison and Marjorie for the Spring semester!